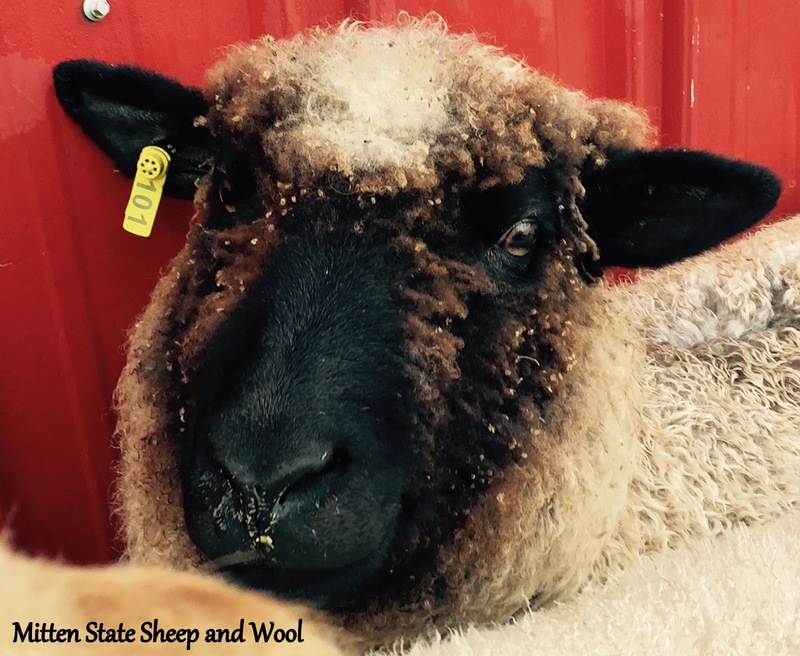 We decided that this year would be the year, that we would shear our long wool sheep in the fall as well as in the Spring. Friday, the Romney's and Border Leicester's were given a semi annual shearing. They have always given us beautiful, long locks and after a years growth, some of those locks are too long for the mill. 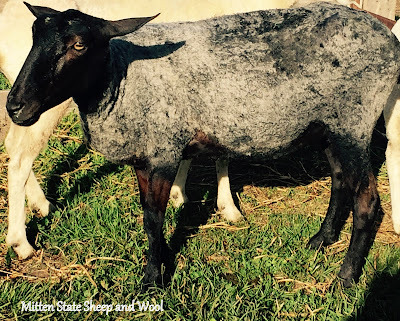 We have contemplated shearing them more than once a year for many years and this year we decided to try it. 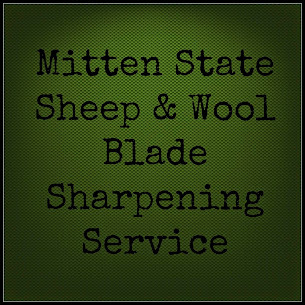 I have heard of some, shearing their long wools every nine months, but with that schedule you end up shearing in the winter, and with our cold winters, I wanted to avoid that. We typically shear in March before lambing, the fleeces have some VM (vegetable matter) in them from winter hay feeding. The fleeces from the fall shearing? They are so clean, with no hay to pick out. My main worry about shearing them in September, is how they will fare once the cold weather comes. They are usually sporting a pretty heavy fleece in the winter months and the last couple of winters with record breaking cold, it was needed. Their wool grows pretty quickly, and they should end up with about as much cover as the Tunis sheep have, once the really cold weather comes. That is what we are hoping for. If not, then they may have to spend some of the winter inside the barn. We will have to see how it all works out. But, for now- I am happy! 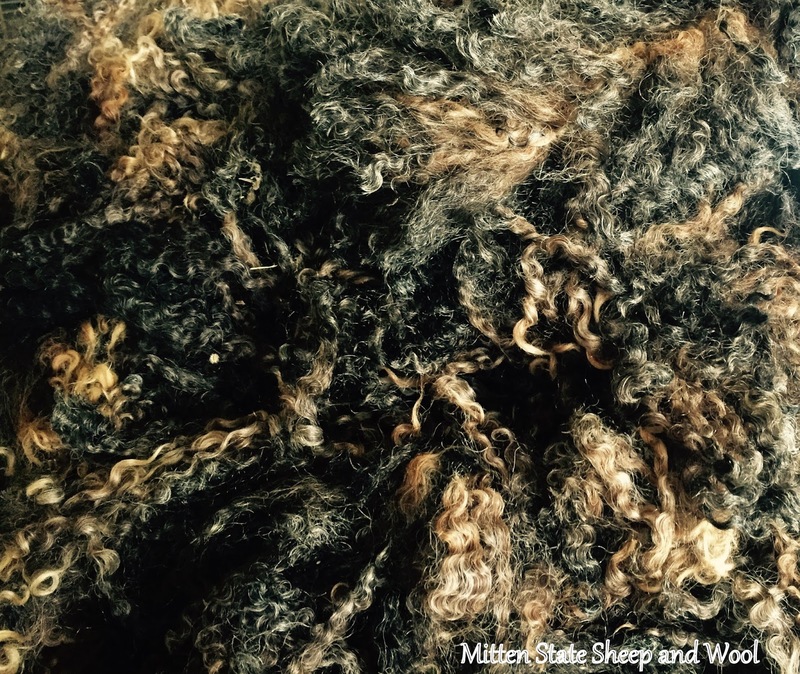 some of the cleanest, prettiest wool that we have gotten from the sheep. We are buying a new round bale hay feeder-Hopefully, one that will keep them from making such a mess of their wool! So pretty! 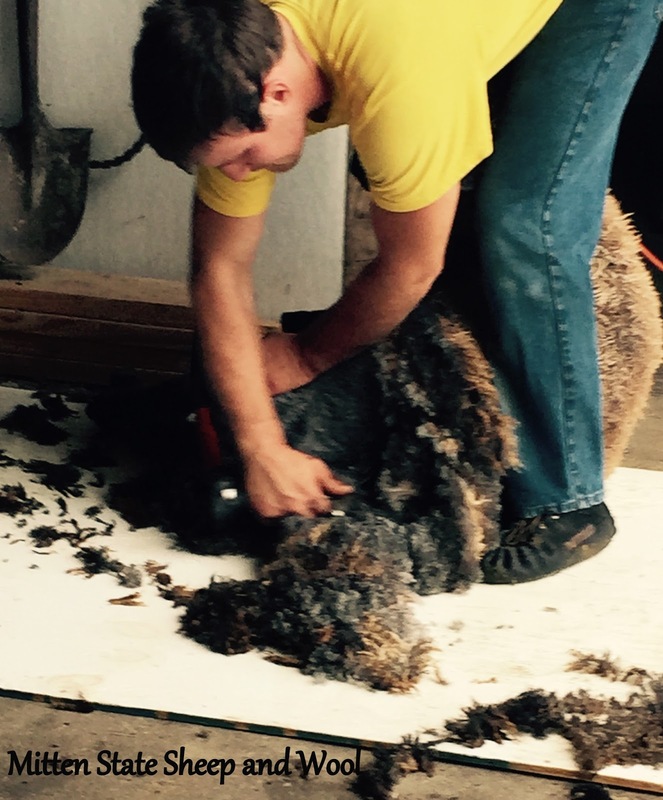 I love sheep shearing well seeing it done anyway. Maybe you will luck out and have a mild winter and then you won't have to worry about potential barn time or coats! Just look at those lovely locks! They are gorgeous. You must be in wool heaven now. Have a wonderfully woolly week! I would love an update on how they fared come winter! Thank you for sharing this with us... I didn't know there was such a thing as fall shearing!